Scenario: Deploy package directly from Visual Studio. and fill in Title, Command and Arguments. 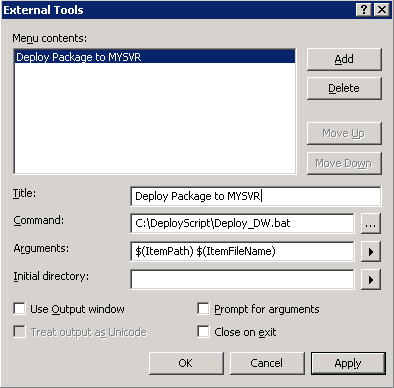 After you click OK or Apply, you will see “Deploy Package to MYSVR” under Tools menu. 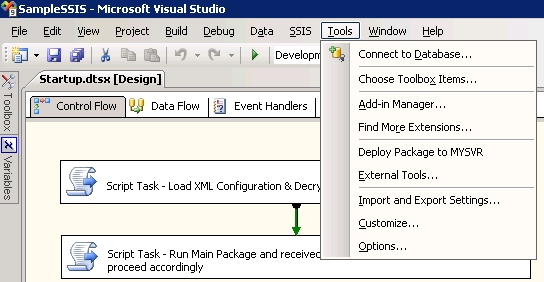 Just select your package, Set as Startup Object and click on “Deploy Package to MYSVR” under Tools menu to DEPLOY.